The hat rack No Hat provides more space than it takes. 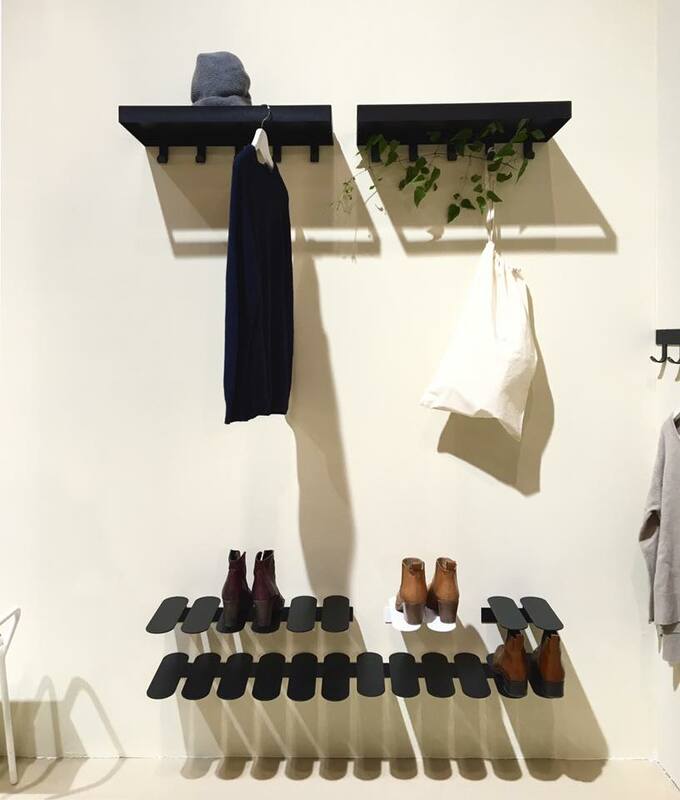 There is plenty of space for hangers and hooks to hang coats on while you can use your shelf for hats, mittens and scarves maybe. 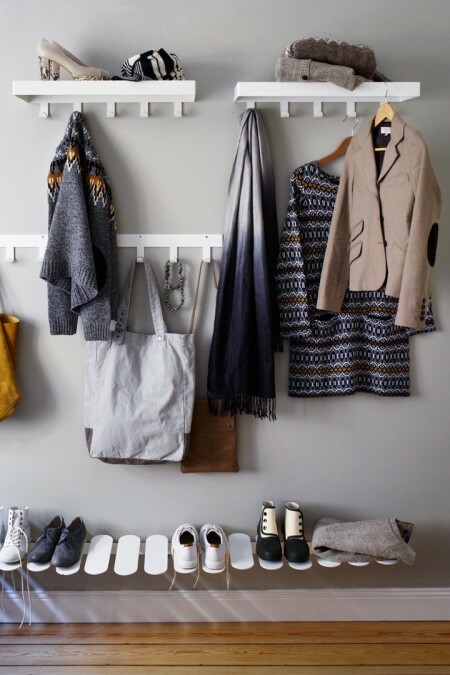 Comes in black and white and fits very well with the shoe racks Step, Step S and hook hanger Only Hooks.